Unlike the baby Prince George of Cambridge, most of us are not born into royalty. That's not to say we can't fake it, though. With many former European royal residences being turned into hotels, we can at least sleep like a future king. Here are just a few you can choose from. Ireland's oldest castle, the medieval Ashford Castle was built in 1228 and has since passed through the hands of several different owners, including the Guinness family. The castle was turned into a five-star luxury hotel in 1939, and it is currently a member of the Leading Hotels of the World. 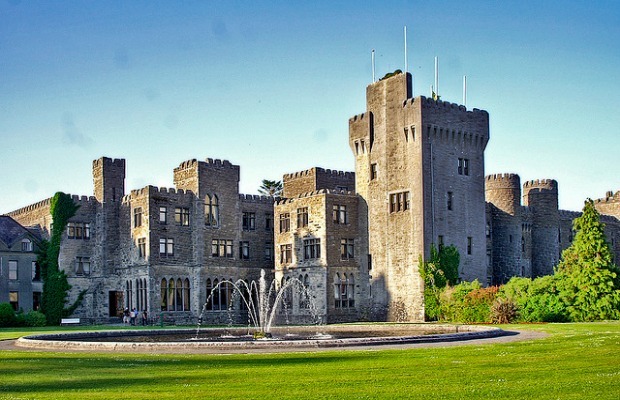 Notable features include the castle's soaring turrets, views of Lough Corrib, nine-hole golf course, and resident ghost. The castle grounds were also featured in John Ford's 1952 classic movie, The Quiet Man. The 19th-century Balfour Castle, located on the island of Shapinsay, part of the Scottish archipelago of Orkney, is one of the most northerly castles in the world. 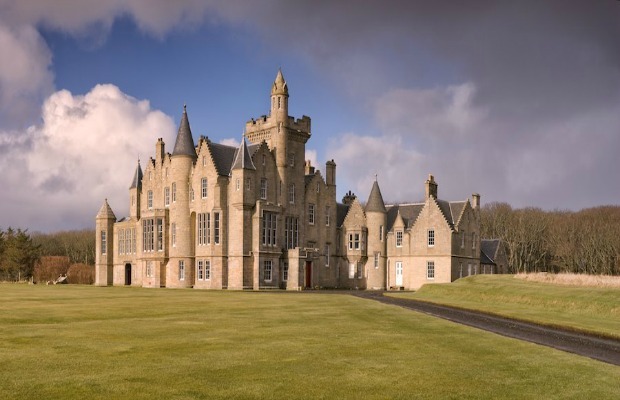 The castle offers exclusive accommodation for up to 12 people and features seven turrets, walled gardens, and 52 rooms that include a library with a false bookshelf that opens up and leads, via secret passageway, to a drawing room. The castle even has its own chapel, making it a popular wedding destination. 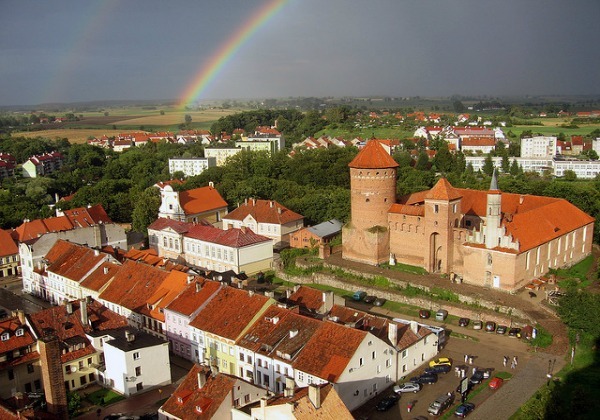 Reszel Castle, in northeastern Poland, dates from the 14th century and has hosted art workshops and a gallery of modern art since the 1970s. The castle was restored in 2001 and now functions as a hotel as well as an artists' retreat. The fortified castle retains its Gothic interiors and the 21 rooms and suites feature eclectic design and furniture created by the Polish sculptor Boleslaw Marschall. 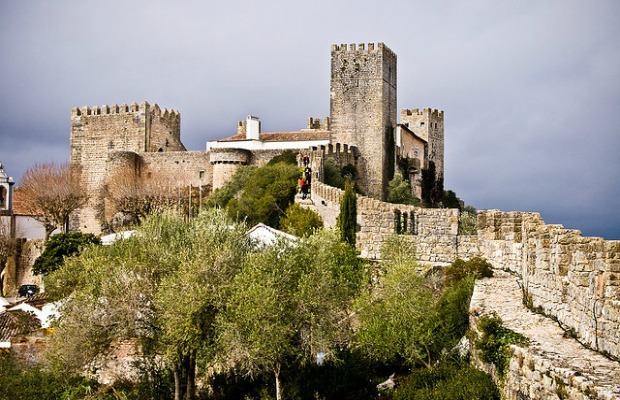 The medieval Castle of Óbidos dates from the 12th century, and, in 2007, was voted one of the Seven Wonders of Portugal by the country's Ministry of Culture. The castle has functioned as a hotel since 1951 and has 12 guestrooms that are each named after a king or queen associated with the historic walled town. All rooms feature four-poster beds and exposed brick walls. 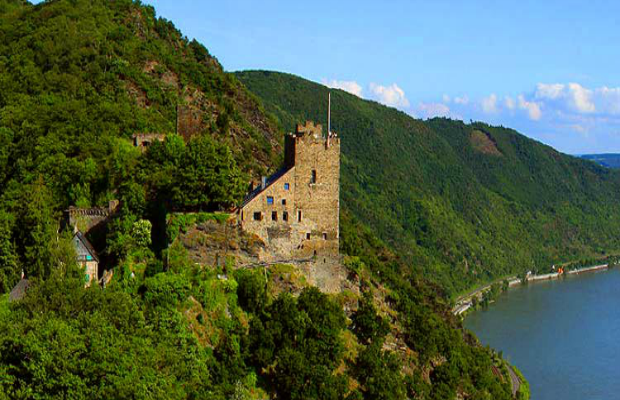 The two castles Burg Sterrenberg and Liebenstein sit atop a rocky ridge along the right bank of the Rhine River in the heart of the Upper Middle Rhine Valley, a UNESCO World Heritage Site. The castles are are known as “the warring brothers” in reference to the 13th-century saga of two feuding brothers who built a wall to separate their rival castles. Liebenstein has functioned as a hotel since 1995, and all nine guestrooms feature medieval furnishings and most have river views. But watch out: the castle's resident ghost, the Baroness of Liebenstein, is said to haunt the stairway leading to the bedrooms. While it is not actually a hotel, Balmoral Castle is notable in that it's a current Royal residence that also accommodates the general public. 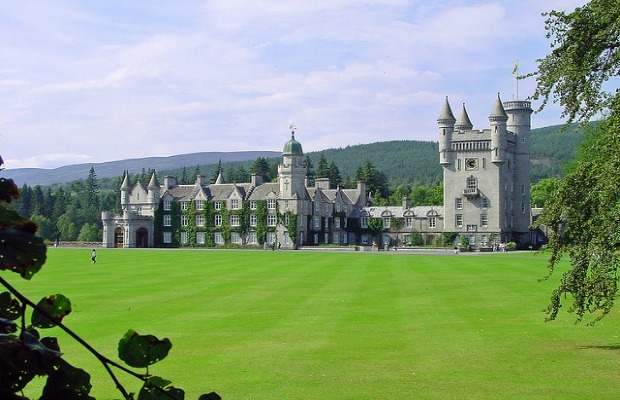 The Balmoral Estate, which has been in use by the British Royal Family since 1848, has five self-catering holiday cottages on its grounds. The estate is situated within the Cairngorms National Park, a national Scenic Area that is home to mountains, forest, and herds of deer, Highland cattle and ponies. However, just in case you thought you might bump into Her Majesty while on vacation, the cottages are closed to the public during annual summer Royal Visit (August and September).